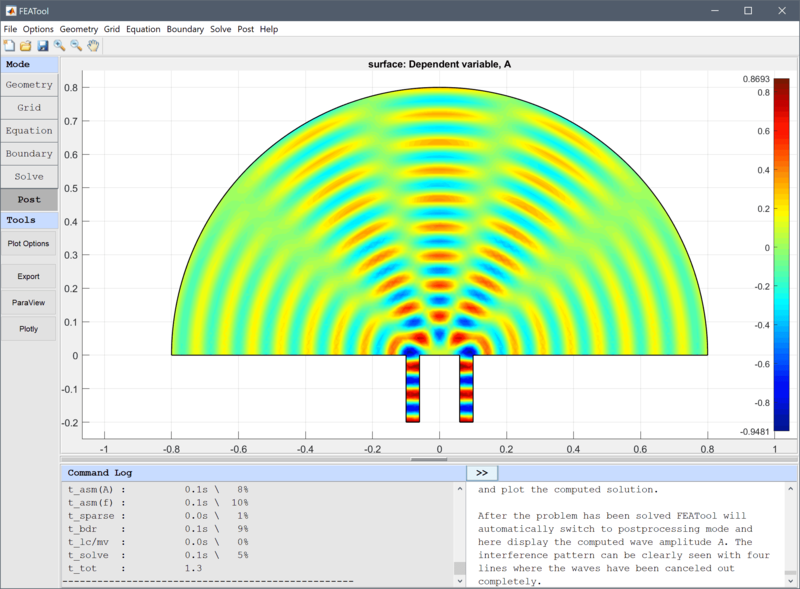 This model is available as an automated tutorial by selecting Model Examples and Tutorials... > Classic PDE > Interference and Diffraction from the File menu. Or alternatively, follow the step-by-step instructions below. Enter 0.8 into the radius edit field. Enter -0.8 into the xmin edit field. Enter 0.8 into the xmax edit field. Enter -0.8 into the ymin edit field. Enter 0 into the ymax edit field. 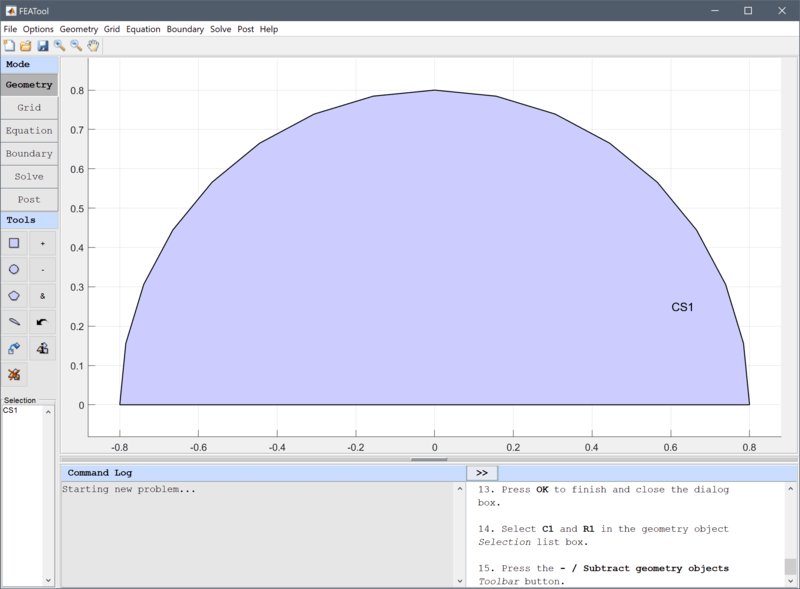 Select C1 and R1 in the geometry object Selection list box. Enter -0.08-0.02 into the xmin edit field. Enter -0.08+0.02 into the xmax edit field. Enter -0.2 into the ymin edit field. Enter 0.08-0.02 into the xmin edit field. Enter 0.08+0.02 into the xmax edit field. 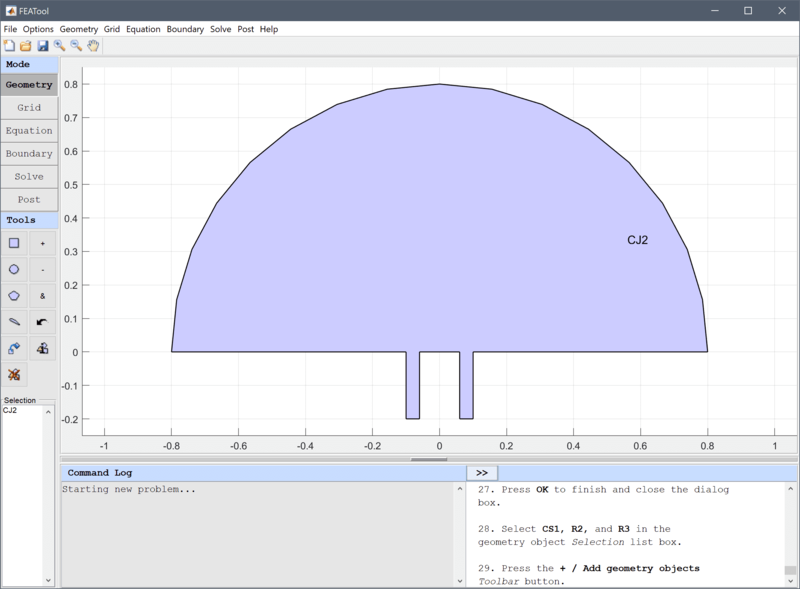 Select CS1, R2, and R3 in the geometry object Selection list box. Press the + / Add geometry objects Toolbar button. Enter 0.015 into the Grid Size edit field, and press the Generate button to call the grid generation algorithm. 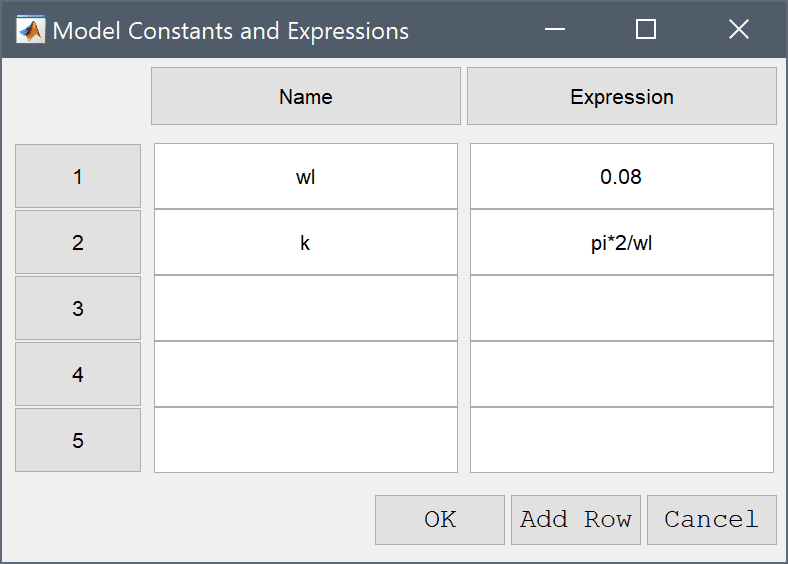 Press the Constants Toolbar button, or select the corresponding entry from the Equation menu, and add the following modeling constants for the wave length wl, and wave number k in the Model Constants and Expressions dialog box. 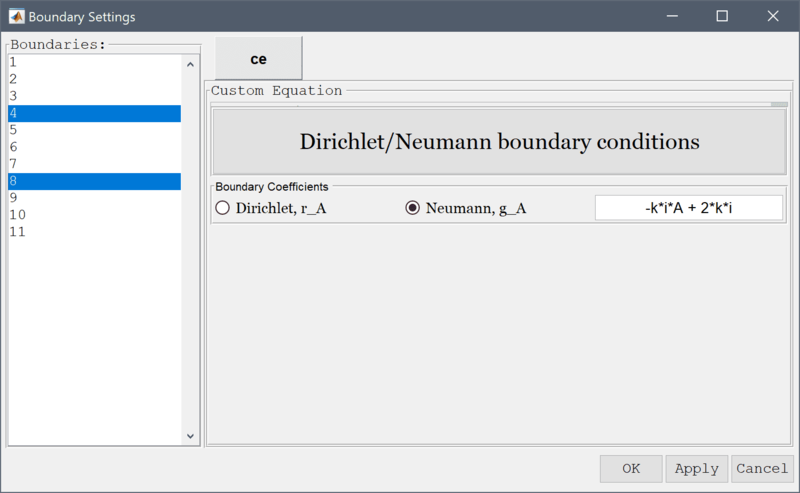 First set homogenous Neumann conditions for all boundaries. 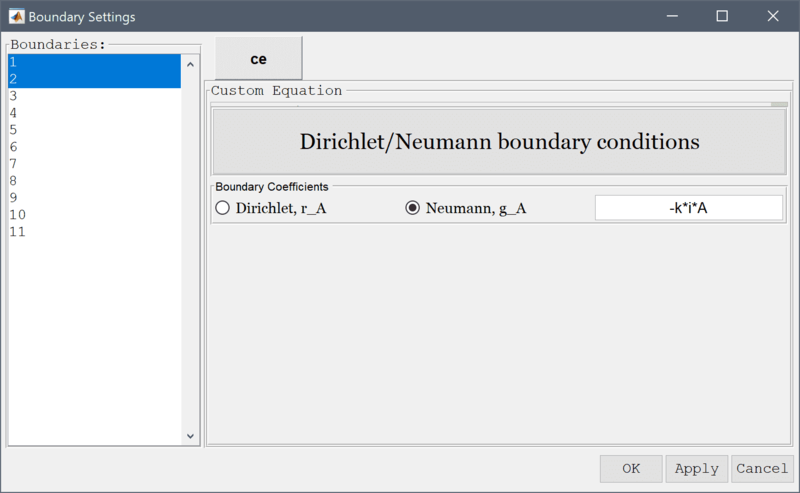 Select all the boundaries (1 - 11) in the Boundaries list box. Enter 0 into the Dirichlet/Neumann coefficient edit field. Select 4 and 8 in the Boundaries list box. 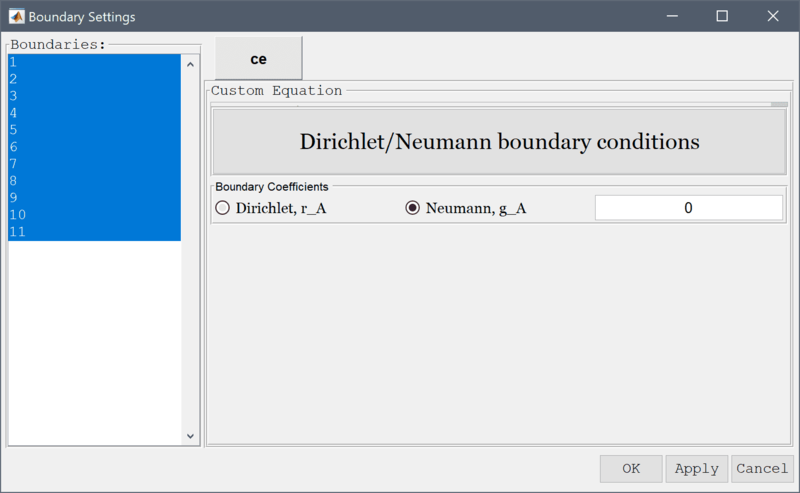 Select 1 and 2 in the Boundaries list box. After the problem has been solved FEATool will automatically switch to postprocessing mode and here display the computed wave amplitude A. The interference pattern can be clearly seen with four lines where the waves have been canceled out completely. 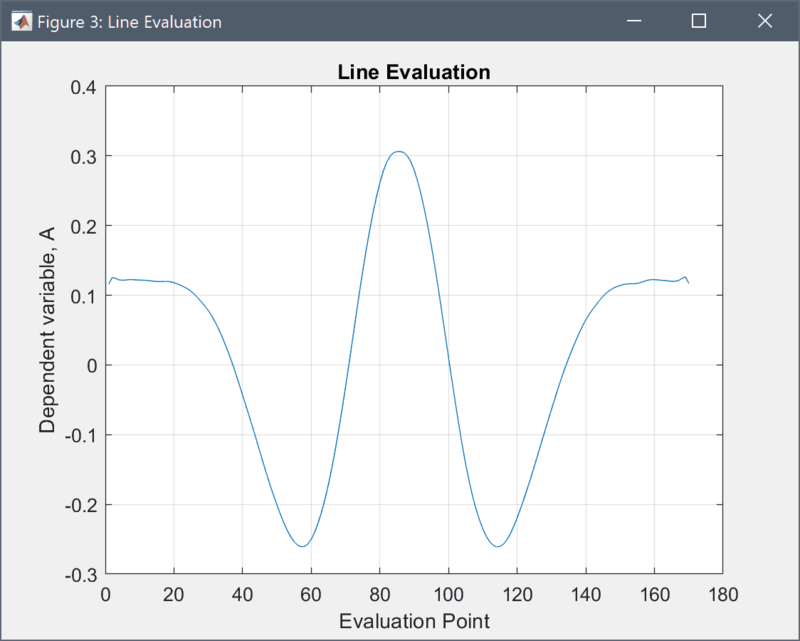 The Point/Line Evaluation tool can be used to visualize the interference and diffraction pattern at the boundary. 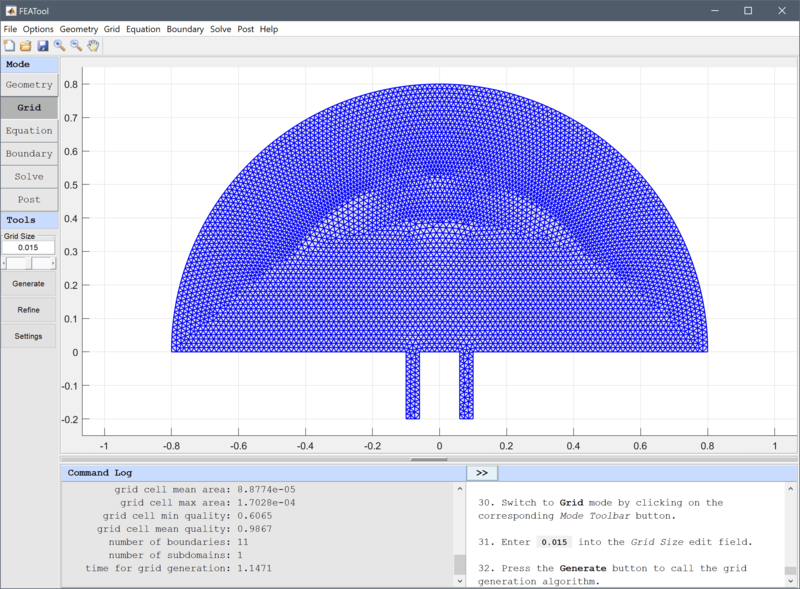 Press OK to finish and plot the amplitude curve. 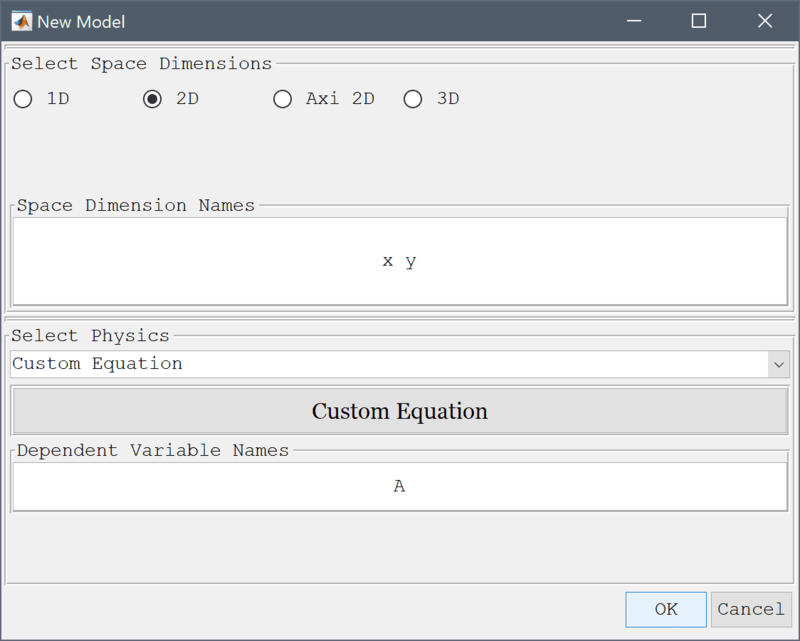 The interference and diffraction custom equation model has now been completed and can be saved as a binary (.fea) model file, or exported as a programmable MATLAB m-script text file, or GUI script (.fes) file.